Injured people in Union City, New Jersey have rights and options if their injuries were the result of negligence. They may be eligible for compensation for their losses and damages, compensation that covers medical bills, lost wages, pain and suffering, emotional distress, and other consequences of a serious injury. However, eligibility does not mean that injured people automatically receive compensation. Rather, they must prove that the other party was negligent and that the negligence directly caused the injury. Building such cases almost always requires the help of a qualified Union City personal injury attorney. At Blume Forte Fried Zerres & Molinari, we focus on personal injury cases and have had considerable success help clients in Union City and throughout the region obtain full and fair compensation for their injuries. We work with highly regarded experts and specialists who help us assign value to non-specific losses such as emotional distress and pain and suffering. For instance, we have medical professionals on staff help us assess the extent of current and future limitations and expenses resulting from the injury. To learn more, call us anytime for a free consultation. We have offices conveniently located in Hudson County, NJ, including Jersey City and North Bergen. Whatever the nature of your injury and the degree to which negligence contributed to it, talk to us to learn about your legal options. Why Hire Blume Forte for a Union City Personal Injury Claim? Experience: Our firm was founded in 1929. Since then, we have handled thousands of cases like yours. 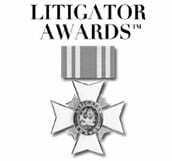 Results: We have obtained more million-dollar verdicts and settlements than any other law firm in New Jersey. 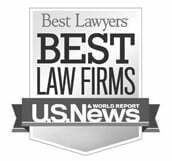 Reputation: Our attorneys and our firm have been recognized and listed by numerous state and national legal ranking organizations such as Super Lawyers, Avvo, and Best Lawyers. Knowledge: Many of our personal injury attorneys are certified in Civil Trial Law by the Supreme Court of New Jersey, indicating a high level of knowledge that only a few lawyers in NJ achieve. If another party’s negligence caused you injury or the wrongful death of a loved one in Union City, NJ, talk with us. Call (973) 635-5400 or use our online form to schedule your free, no-obligation consultation. Find out how we can help you get the compensation you need and deserve after being injured in Union City due to the negligence of another. Union, formally known as Union City, is a city in Hudson County, New Jersey with a 2010 population of 66,455 (estimated to be 70,287 in 2017). The 2010 Census reported Union City to be the most densely populated place in the United States, with a density of 51,810 people per square mile. The city has two nicknames: Embroidery Capital of the United States and Havana on the Hudson. For many years, Union City had either the first- or the second-largest population of Cuban immigrants in the United States. (Miami was the other city.) The predominance of Cubans in Union City is reflected in the visit of Fidel Castro to Union in 1955 to raise money for his revolution. Today, Union City hosts the Cuban Day Parade. There were two big waves of Cuban immigration: the first came in the early 1960s after the Cuban revolution, and the second in the 1980s after the Mariel boatlift. One result of such immigration is that Spanish is spoken at home by more than half of Union City residents. Before Cuban and other Spanish-speaking people migrated to Union City beginning in the 1940s, the city was home to a large population of German immigrants. Germans represented such a large percentage of the population that minutes of public meetings were recorded in German in the early 20th century. Today, Union City has a lively arts scene. Several recent films and documentaries have been shot in or are set in Union. The city has two Carnegie library buildings and several museums, including the Union City Museum of Art, the Union City Police Museum, the Union City Art Gallery & Concert Hall, and the Union City Museum of History.